I can see pricing on the products – how does this work and what is included? At BrandMe.com.au, our pricing system is set up to maximise your convenience and ease of use. The pricing displayed on the Gallery page is the price for a large order, and the M.O.Q refers to the smallest number of product you can buy. Simply click on the product image for different price breaks. We also believe in having no hidden costs, and therefore all our set-up is included in the price you see on the screen! Also, 99.9% of the products on the site are priced with a basic decoration, such as a single colour print or a laser engraving! Do your products come with a logo decoration? Yes! Our prices are set up so you get the best idea of what your products final cost will be – have a look at the “standard decoration” option to see what type is available. All of our prices on the site will include a decoration and set-up. My logo is more than one colour, can you cater for this? Of course. Most, if not all of our products have the option to be printed with more than one colour, and with our “fast quote” form you can easily see our pricing for each additional colour you wish to add! I’m not sure about the product, is it possible to get a sample? Product samples are one of the best ways to ensure that what you get is right for you, and yes we can do them for you. We do like to quote on them before doing so, and will also have to charge for your sample if they are expensive or many are needed. For a no-cost option, have a look at our brand new Virtual Sample Service! I need a formal quote, is this possible? Of course! Here at BrandMe Promotional we are happy to help you out with two fantastic ways of obtaining a quote – either you can fill out the Fast Quote form that will include everything you need and our sales people will supply you with a fully-inclusive email quote within two hours, or simply call us and speak to our friendly staff and you can receive a separate letter-headed quote also within that two hour period! I don’t have my artwork on an AI/EPS file – can you still draw my logo? Yes we can – however this may take time. If you have a Jpeg, Bitmap or GIF file with your artwork, sometimes this will not be up to scratch and will be unable to be used. In this case, don’t worry – we can still help! We can professionally redraw your logo, however this may take time and may incur a cost – call us and we can tailor to your needs! I have a large logo – is this possible to print? Yes – we can usually print your logo to the maximum dimensions of the printing area of the product! Of course, print area will vary depending on the size of the product you order – a picnic blanket logo may not fit on a keyring! However, our industry experts have a trained eye for what sizes will truly bring your logo to the attention of your customers. With our streamlined quoting system and years of industry experience, BrandMe Promotional prides itself on being an industry leader when it comes to the speed and ease with which you receive your packages. While as a general rule most products can be supplied within 1-3 weeks, all products have the approximate delivery time on their respective pages! How much am I looking at for freight? Australia is one big country – if you live on the weste coast and need something delivered within the next two days it’s going to take something special to get it there! Airfreighting is certainly an option but it will cost a lot! However, if you have an office in Brisbane, Sydney or Melbourne, we can get your product to you within 1-2 days at not much more than $20! (for a lot of non-bulky items). We will always charge freight at cost – call us for an accurate quote! 80% of our orders generate a shipping cost of less that $30+GST! I don’t need this many – can I get less than the M.O.Q? The minimum order quantities that we set here at BrandMe Promotional are established with the idea of what is physically probable and will allow us to professionally manage your order – if we order under that M.O.Q the set-up costs skyrocket! If you really need less than the M.O.Q this may be possible – but the cost per product is going to be much higher. With the costs of freight, artwork, labour, machine preparation and making the printing plates, these amounts are still the best you can find on the market! So take me through it – what are the steps in the process? Simply call us to get things underway! Do you cater towards Charities – can we get a discount? Here at BrandMe Promotional we are extremely sympathetic towards charities – we will do everything we can to make sure you get what you need. I was wondering, can you match the price of this product? Of course we can – we helped to revolutionise the industry with this idea! However, while we are happy to price match on identical products, for obvious reasons we cannot guarantee to match the price of a different product. Can BrandMe Promotional ship overseas? We have many clients within the Pacific area, however we personally cannot ship overseas, and as such are happy to send your order to your Australian freight forwarder as we cannot export directly due to export regulations. While we have a strong focus on customer service, we pride ourselves on having Australia’s lowest prices online – we cannot afford to maintain on-the-road sales reps while being based online. Whereabouts is your Head Office? 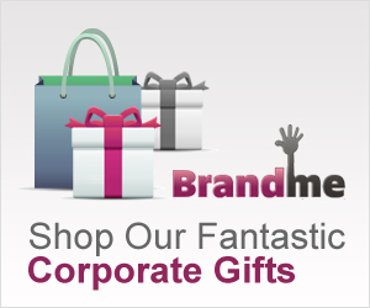 BrandMe Promotional is based in Brisbane, however we ship from Sydney, Melbourne and Brisbane to ensure that you can get your product in the fastest time possible from a local, Australian supplier. I just can’t find what I need, help! Feel free to contact us anytime – our friendly staff have had years in the promotional industry and possess the experience and knowledge to know what products can be best for you, no matter your industry or budget! So there you have it! – we are ready to help you at any time – please call us with your request on 1300 303 717.